A reforestation project funded by World Land Trust (WLT) in Tanzania which began eight years ago has been reported a success after a recent site visit by WLT Trustee Kevin Cox. 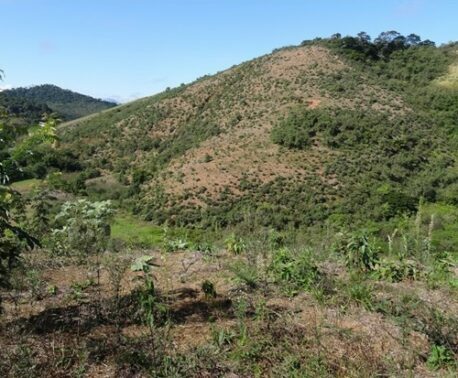 The Bunduki Gap project aimed to reforest a heavily degraded area which served as an ecological barrier between three reserves in the Uluguru Mountains. This area, a mountain pass named the Bunduki Gap, had been completely deforested. 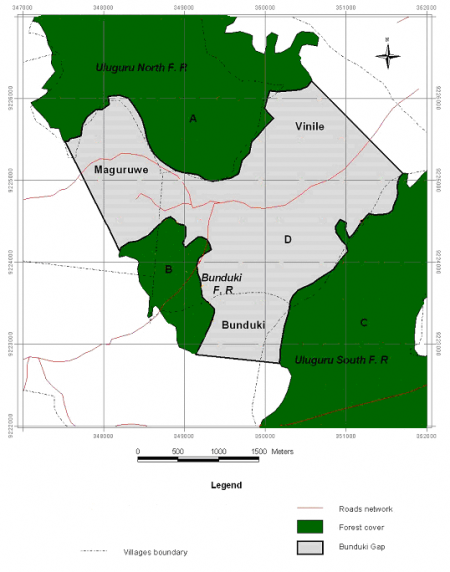 Increased demands for agricultural land and firewood by an increasing local human population had reduced any forest cover which could connect the Uluguru North Forest Reserve, Uluguru South Forest Reserve and Bunduki Forest Reserve (see map here). The Uluguru Mountain Forests contain the sources of rivers which provide water to the cities of Morogoro and Dar es Salaam, and have huge economic and social value as water catchment areas provided they remain intact. 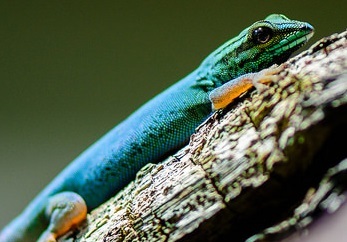 These forests are also incredibly important for their unique biodiversity, which is high in species that cannot be found elsewhere in the world, such as the Endangered Abbott’s Duiker, Critically Endangered Turquoise Dwarf Gecko and the Endangered Uluguru Black Caecilian. They are also the place of origin for African Violets (Saintpaulia spp) and sustain a few species of primates, including Blue Monkeys and Yellow Baboons. However, while the Bunduki Gap remained cleared and degraded these wildlife populations were isolated in three forest reserves, extremely vulnerable to extinction risks such as fire, disease and genetic bottlenecking. In 2009, WLT received the funding to reconnect these reserves through reforestation with partner the Wildlife Conservation Society of Tanzania (WCST), and restore the Uluguru mountain forest habitat. Reforestation began in 2009, with local people collecting seeds from the Uluguru forest reserves, establishing a nursery for the seedlings and replanting the trees to fill the gap and enable wildlife to traverse between the reserves once more. WLT Trustee Kevin Cox recently visited the Eastern Arc Mountains of Tanzania on a birding trip (the area is well known for its rare, endemic birdlife such as the Uluguru Bush Shrike and Mrs Moreau's Warbler) and paid a visit to the project area to see how it had progressed since the replanting was completed in 2012. “The drive up to the gap is nerve-wracking.” Kevin told WLT, “The track is wet, overgrown and bumpy with a drop of hundreds of metres on one side. 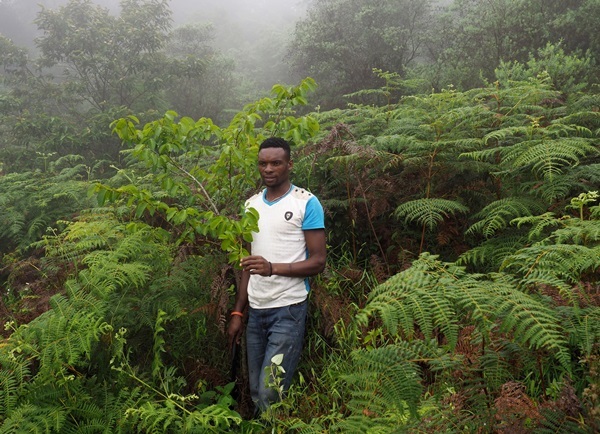 At the top, the view was shrouded in thick mist so it was impossible to see the extent of the regeneration but James, our local guide who lives in Bunduki village, proudly showed us some of the trees that he had planted. There was clearly a good species mix and the trees were doing well, with many well above head height. The Bunduki Gap project was funded by Scottish & Southern Energy, and has now been completed. 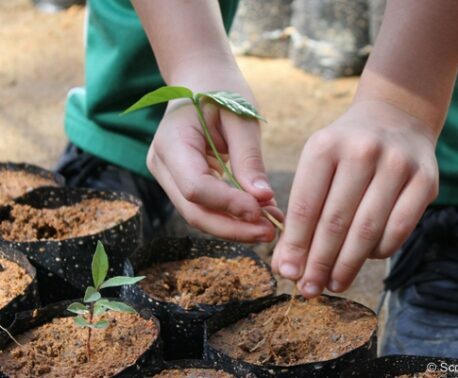 However, WLT is currently running reforestation projects in Mount Kenya, Nangaritza Reserve (Ecuador) and Reserva Ecológica de Guapiaçu (Brazil) through Plant a Tree, which plants each tree at a cost of £5.